Itching of the chest is not an uncommon symptom. It occurs for many of the same reasons as itching elsewhere on the body. Occasional itching is not usually a cause for concern. It can occur for various reasons, such as minor irritation on the skin surface. However, when there is constant itching on the chest along with symptoms like a skin rash then it needs to be medically investigated and treated. 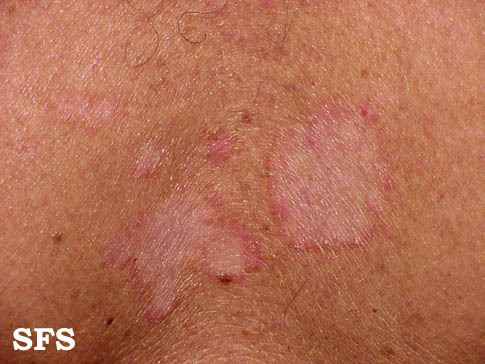 Skin lesions, like pimples or boils. Hair loss on the chest (in men). Any condition that causes skin itching may result in an itchy chest. Some of the more common skin conditions that cause chest itching as one of many symptoms has been discussed in detail below. However, various other conditions and factors should also be considered as possible causes of itchy chest such as sunburn, dry skin (xerosis) and chaffing. One of the common causes of an itchy chest is acne vulgaris. The chest is a common site where pimples arise in acne vulgaris, along with the face, shoulders and back. Sometimes chest acne may occur without the other areas being affected. Pimples tend to be swollen and painful but itching is also a common symptom. Acne vulgaris tends to be more common among teens. The hormonal changes associated with puberty increases sebum (oil) secretion which raises the risk of acne. This can continue into early adulthood. However, acne may also sometimes arise in adulthood and can also occur with hormonal changes like pregnancy and menopause. Atopic dermatitis, also commonly referred to as eczema, is a skin condition where the skin becomes inflamed and very dry. It tends to be worse at the folds of the body, like the elbows and knees but can occur anywhere, including the chest. Dryness, severe itching, peeling or cracked skin, redness and tiny blisters with oozing may also be present. It is more frequently seen in children but can also occur in adults. The exact cause of atopic dermatitis is unclear. It is associated with genetic factors. People with allergies and allergic conditions such as allergic rhinitis (hay fever) and asthma tend to be at a greater risk. It may be linked to food allergies. Contact dermatitis is one of the common causes of itching anywhere on the body, with or without a rash. 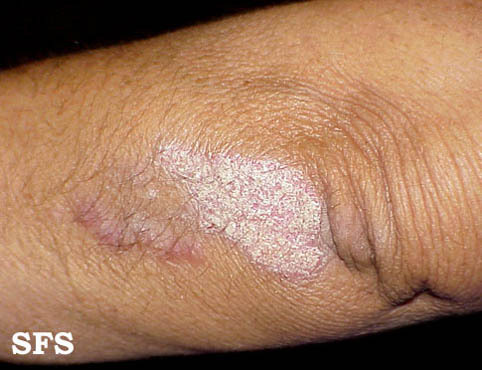 This is a skin condition that arises with exposure to certain substances. Itching, redness, a skin rash and even pain or burning are some of the other symptoms that may be present. The substances that trigger contact dermatitis are usually harmless. In one type known as irritant contact dermatitis, the substance irritates the skin. In another type known as allergic contact dermatitis, the substance triggers an allergic reaction in hypersensitive people. Folliculitis is inflammation of the hair follicles. Most of the time this inflammation is caused by bacterial infections. It tends to occur in areas where there is thicker hair and the chest is one of the commonly affected sites. Apart from the itchy chest, there is also a burning sensation, pain and tenderness of the skin with tiny bumps or opened blisters. Although it is more likely to occur on the scalp, face, chest, armpits and groin, folliculitis can occur anywhere on the body except for the palms and soles. It may be superficial (limited to the outermost layers of the skin) or deep. Staphylococcus aureus (stap) bacteria is the most common cause but viruses and even fungi may be responsible. 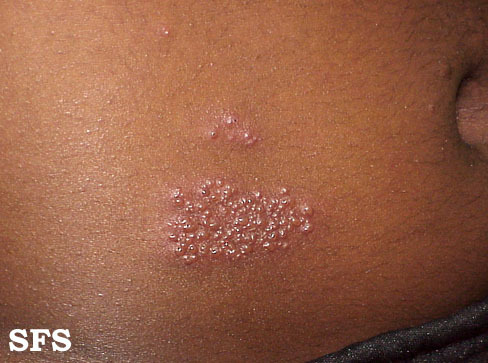 Psoriasis is a chronic skin condition where there is inflammation of the skin and reduced shedding of skin. As a result thickened dry plaques form at various sites throughout the body. It is an intensely itchy skin condition. The thick plaques may have a red to white to silver color. The skin is very dry and sheds in larger patches. The exact cause of psoriasis is unclear. It appears to be due to an immune dysfunction. The immune cells attack healthy skin cells and thereby causes inflammation. A family history of psoriasis, obesity, certain bacterial or viral infections and tobacco smoking are the main risk factors. Seborrheic dermatitis is an inflammatory skin condition where there is excessive oil (sebum) production. This causes yellow crusts on the affected area, flaky white skin, redness and itching. The scalp is more commonly affected but the face and chest are other frequently affected sites. Dandruff is seborrheic dermatitis of the scalp which is more common in teens and adults. Infants may have a similar scalp condition known as cradle cap. The exact cause of seborrheic dermatitis is unknown. It appears to be due to an abnormal immune response, possibly triggered by the presence of Malassezia yeast om the skin surface. Shingles, also known as herpes zoster infection, is caused by reactivation of the chickenpox virus (varicella-zoster virus) later in life. Apart from itching, there is also pain, a burning sensation, tingling or numbness. A red rash is typically present along with red fluid-filled blisters. 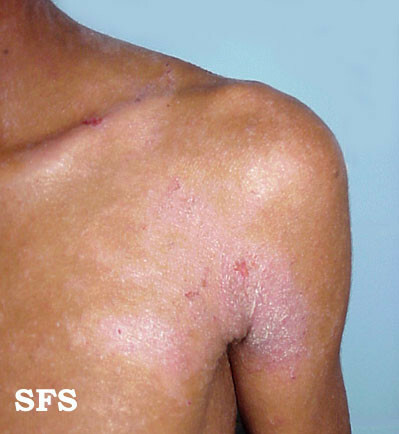 The symptoms typically occur along bands on the torso known as dermatomes. It typically wraps around one side of the body. It can also occur on the neck or face. Shingles tends to occur in older people, especially those with chronic diseases that weaken immune system. However, not every person who gets chickenpox will develop shingles later in life. Last updated on October 11, 2018.